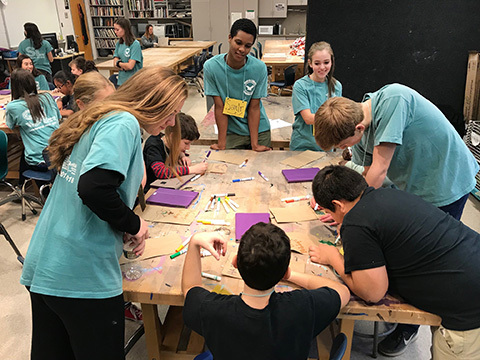 Terraset Elementary School students visited a leadership class at South Lakes High School to take part in leadership and teamwork activities. 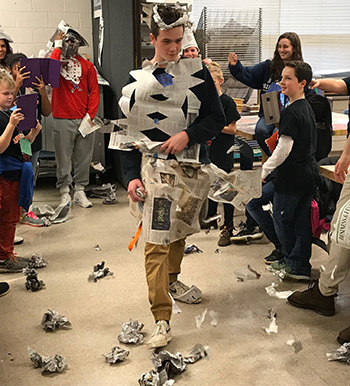 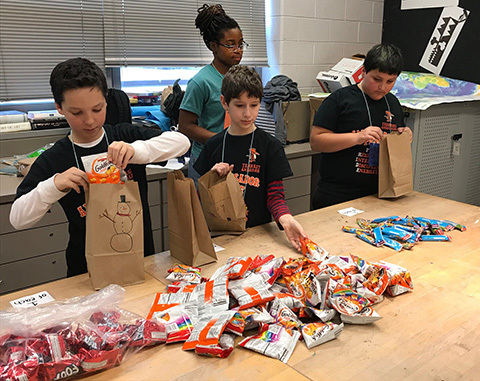 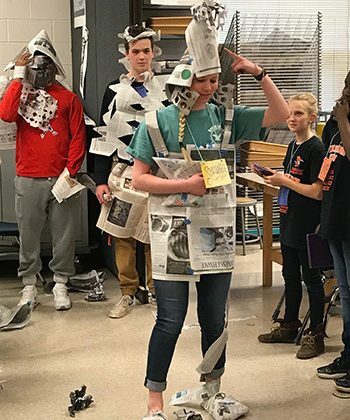 Students in fifth and sixth grade made snack bags for children at the Embry Rucker shelter and held a newspaper fashion show. 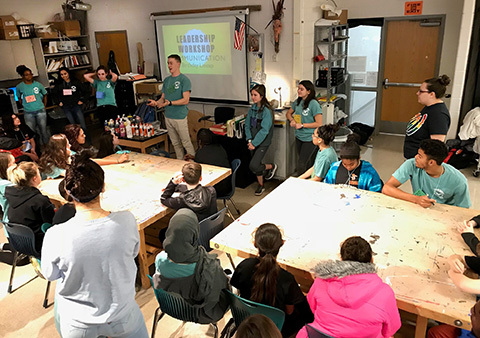 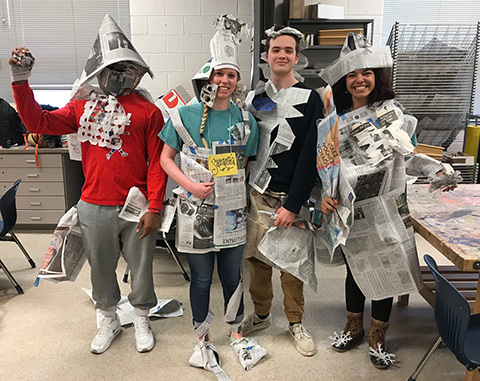 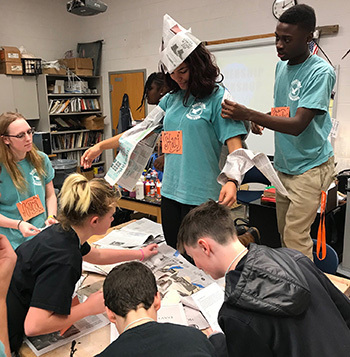 According to a statement by the Fairfax County Public Schools System, the Terraset students were selected for their leadership potential and the high school students planned and led the workshop.